Artists including da Vinci and Michelangelo made three-dimensional architectural models to present their designs to clients and patrons. The models also served as references during construction. (Today we use 3D software and computers.) 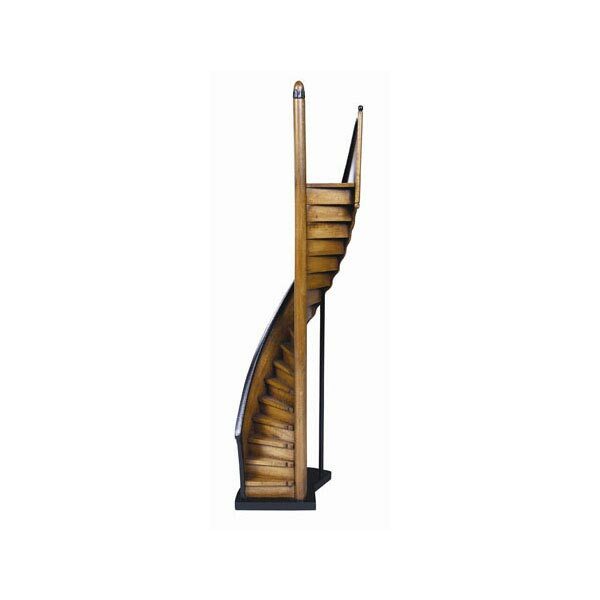 Dramatic and decorative, this model for a lighthouse staircase reveals the challenges inherent in the design: it must be steep, narrow, and curve in a hurry. Handcrafted in hardwood with hand-carved details and French distressed finish, the model has a weighted base for stability. 5"w x 24"h x 4"d, 1 lb. Allow 2 weeks. No rush delivery or gift box. Item can only be shipped within the Continental US.